For many of us the holiday season is filled with celebrations, family, friends and Christmas cheer, but for some seniors a feeling of depression, referred to as Blue Christmas, can set in this time of year. 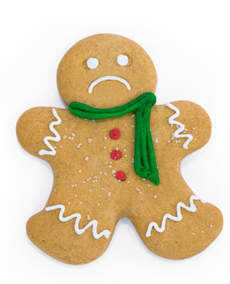 Here is some ideas to help beat the post Christmas blues. Over the years people create traditions and recall found memories of the holidays. Seniors recall the many great seasons they’ve celebrated, but also begin to long for past years where their health or circumstances may have been better. 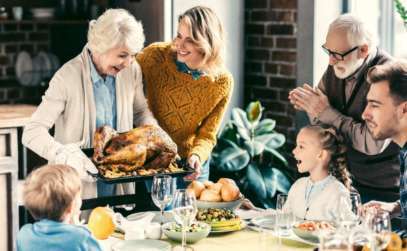 The holidays may become a time where they recall lost loved ones or where their health concerns become more evident as they prevent them from fully participating in holiday events. 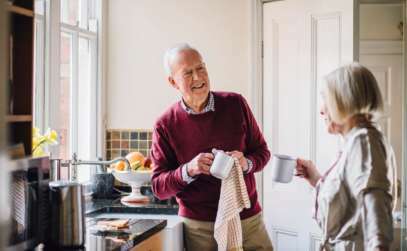 This can escalate directly following Christmas festivities, as seniors return to their home, typically alone and have time to reflect on the holiday. If you are feeling a little bluer this year or you noticed a change in your loved one’s abilities this could be a great time to reach out for a little bit of help. Vytality at Home could be a great option to get you or your loved one feeling brighter! With a focus on companionship and social stimulation they are there to support someone who may be feeling down. They will ensure that they are getting some activity, be it outside for a walk on a warmer chinook day or at home safely under their direction and supervision. Perhaps just a little assistance with the house work after the holidays is what is needed to beat the funk. If you have personally observed your loved ones in a way that left you feeling uneasy about their safety, memory, function at home and their health- now is the time to ensure that they are getting the support they require, which may involve home care services or having them see their Family Physician. Vytality at Home knows first hand that caregiving from a distance can be difficult financially, logistically and emotionally. Coordinating home care services, supports and navigating the system can be incredibly frustrating; Vytality is here to help. Vytality at Home is passionate about creating exceptional experiences for seniors and those with mental health challenges. We are a locally owned and operated company that understands the complexities of securing quality care for your loved one. We are here to ensure that your loved ones are receiving the care they need to stay independently at home. Our caregivers that provide care in your home are dedicated to positively impacting their client’s life, and will provide a wide range of services including, but not limited to companionship, cognitive stimulation, assistance with daily activities, light housekeeping, meal preparation and medication reminders. Our Vytality app that is coming in 2019 will allow those family members piece of mind, knowing that they can communicate with the caregiver and their parents, while the caregiver is in the home. Calgary Senior Home care services that strives to enhance the quality of life of those we serve. Your Home, Your Care- that is Vytality at Home.